The survey also revealed that more than 90% of let days were sold before the start of the season with repeat bookings holding up well. The principal source of new clients was again via word of mouth and recommendations, closely followed by the Internet, reflecting the manner in which many shooters now access information online. 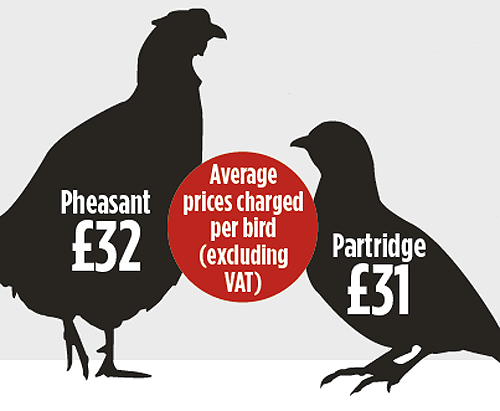 GunsOnPegs managing director, James Horne, commented: ?With the ever-increasing cost of shooting, Guns are now shopping around far more than they did before. Shoots have long since woken up to the fact that they can now channel their marketing in a cost-effective manner to a greater, targeted audience.? Mr Steel said: ?Shoots have had to conduct a thorough financial examination of their activities and many have acted accordingly. This is good news for the sport ? a couple of years ago the picture looked worryingly unsustainable. ?